Are you looking for a solid power supply without paying any more than necessary? Today, I'll be taking a look at the Logisys 650W Power Supply (PS650U12), an inexpensive product compared to most other power supplies of this wattage. Is this a good solution on a budget? Let's explore and test this product to find out. Every advancement in computer industry with new graphics card, large capacity and faster hard drive and memory module, high speed CPU, means an increased need for power. The two tone glossy metallic painted 650W power supply is equipped with industrial grade components to ensure stable and unflappable output, and protection against power and voltage surges. It comes with one main ATX power connector (20+4pin), one P4 12V connector, one P8 12V connector, two FDD 4 pin connector, one 6 pin AUX connector, six 4 pin molex connectors, two PCI-E connectors, and 4 SATA connectors. The featured universal outputs along with ATX12V and EPS12V compliancy ensure the usage in variety of applications. It also equipped with dual 1000uF large capacity, which is usually used in 1000w or larger power supplies. 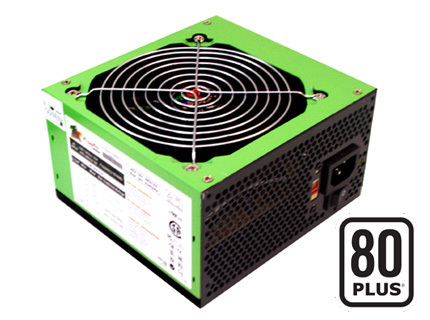 The power supply supports dual 12V rails (12V1, 12V2) that support the most high end PC systems.